Our Fall 2018 Reunion was a blast – THANK YOU to all those who attended, those who helped out in any way, and especially those who sponsored current Singing Cadet meals. Be sure to put April 5-7 on your calendar for our first ever Spring Reunion! All formers present will have the opportunity to perform on stage in the 125th Anniversary Reunion Choir at our annual Spring Concert and will receive a 125th Anniversary Singing Cadet gift! 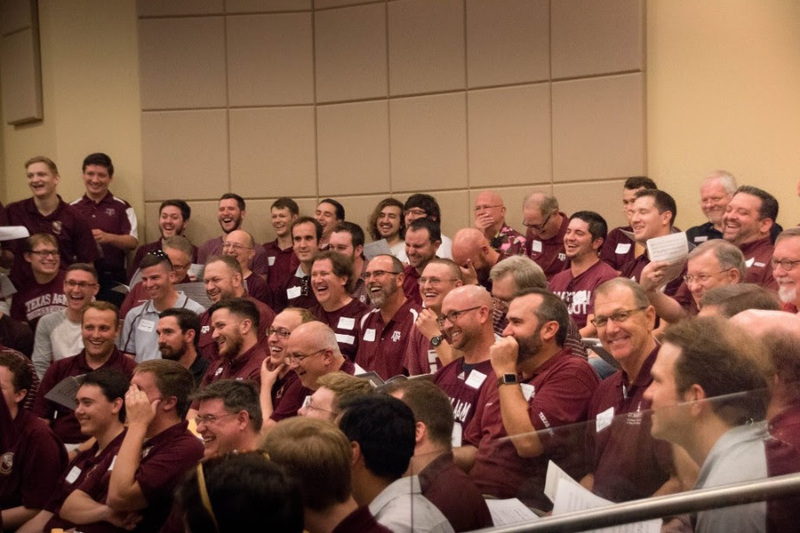 Internationally known as the “Voice of Aggieland”, The Singing Cadets is Texas A&M University’s premier men’s chorus. Now in our 114th touring season, we will be performing over 100 concerts this year throughout Texas and the United States.